Here we are in the last of our series on free blogging tools. You’ve planned your strategy and written that post like a boss. Now let’s spice up that post with some free image tools. Don’t be fooled into thinking that these are solely for bloggers. You can use them for social media, emails, and anything else that could use a little pizzazz. The absolute best blog posts have images. In fact, I never recommend anyone publish any blog post without images. Ever. There are several reasons to include images in your posts, not the least of which is the boost they can give to your SEO. They also break up your content and make your post more visually appealing. In fact, readers are likely to remember only 10% of what they read. Pair that information with a related image, however, and the number jumps to an impressive 65% (source). Bonus points if you can include at least one funny meme or gif that keeps things entertaining while still supporting your content. 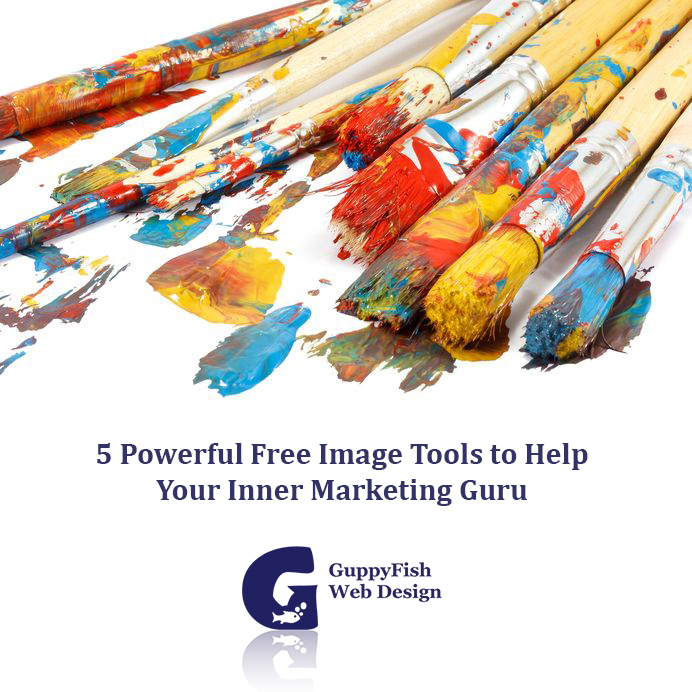 Canva is probably one of the most popular free image tools for marketers right now. You can create all kinds of promotional and informative images, and it’s definitely user friendly. Whether you’re an educator, blogger, social media maven, or email marketer, you’ll find something at Canva to enhance whatever you create. Stock photo sites are a dime a dozen, but some of them have an exorbitant price tag. If you’re looking for free stock photos that still have a high quality, Pixabay may be the answer you seek. You can find wallpapers, nature scenes, images for logos, and tons more. With both photography and illustrations to choose from, you’ll find endless possibilities. The fact that images are the result of a community of artist who share their talent makes Pixabay even cooler. It’s not a pretty name, but it works. Once you’ve got those free stock photos, you need to edit them. Again, not every person or business can afford Photoshop, but Gimp is a free image editing tool that will get the job done. It’s something you’ll download to your computer instead of doing the job right online, but the results are magnificent once you learn to use them. To that end, they have a library of tutorials to get you started. The cute mascot is a nice touch, too. Sometimes a “normal” sized image doesn’t do the trick. If you need something that’s more of a banner sized for the top of an email or for just a longer, narrower effect, Bannersnack will be your go-to tool. Additionally, you can make banners for Facebook and Twitter with the correct dimensions. Choose a background color, add some imaging or your logo, throw in a call to action, and you have an attractive, professional looking banner. Paying just a few dollars per month will snag you some spiffier features. If you just make the occasional banner, however, you should be fine with the free account. Infographics have made a huge impact in visual marketing of late, but making them can seem a daunting task. Where do you get all those charts? How do you make a pretty bar graph? There are a bunch of services where you can make them, but this is a post about free image tools. Infogram is a free tool that allows you to make basic charts, graphs, or informational images from prefabricated templates. In fact, it’s what I used to make the graphic above, using my free account. Again, you’ll have more features by upgrading to a paid account, but it’s an amazing tool for basic images and charts. 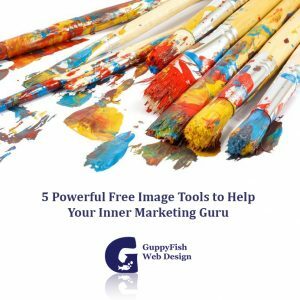 If you have any free image tools that you can’t live without, I’d love to hear about them in the comments! In the meantime, make sure those blog posts, emails, and social media posts are spiced up with images, and keep swimming along! Sign up and get tools and tricks for website best practices, WordPress, SEO, social media, email marketing, and tons more!